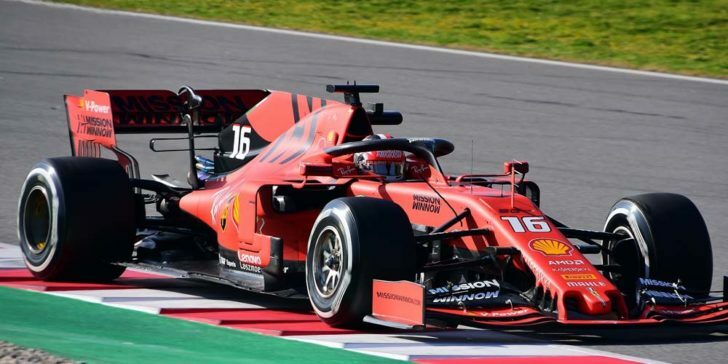 Having been let down by his car in Bahrain the 2019 Chinese GP odds on Charles Leclerc currently make him favorite to win on sites like Unibet, one of the very best online sportsbooks sites in China these days. At 6/4 he’s a significant, if small, margin ahead of his rivals at Mercedes and,having made his Ferrari teammate look slow and incompetent, seems set to become the new No.1 driver in a blood red car, at least he will if he can do it all again in China. “During the race we were extremely strong.” Leclerc said after rolling home in third despite having led for a significant portion of the race in Bahrain, “then issues happened.” Which is the tactful way of saying that he’d driven his backside off and the car had let him down. Not that it was the only thing that had let Ferrari down. Veteran driver Sebastian Vettel had too. Indeed one of the reasons the 2019 Chinese GP odds on Charles Leclerc are so short is Vettel’s performance. Team orders were to have Leclerc stay behind Vettel, to be Ferrari’s Valtteri Bottas if you will, but Sebastian was driving like a granny and that was impractical. Worse for Seb, from the looks of the 2019 Chinese GP odds on Charles Leclerc at Unibet (one of the best online betting sites in China right now) none of the bookies think the team will be able to rein in their new blood. Question is; WillSeb notice this change in the wind and become a useful No.2 backing Leclerc? Given the 2019 Chinese GP odds on Charles Leclerc, it will be in Shanghai we’ll quickly see if Vettel is a team player or not. Of course should he fail to summon up the sensible sportsmanship required at least the rest of us will get the amusement of watching an intra-team rivalry akin to that which beset Mercedes a few years ago. That, you will recall, was between the exceedingly passive-aggressive Lewis Hamilton and the overly shiny & whiny self-entitled Nico Rosberg. At Ferrari it will be far more a split of the generations not a clash of personalities. As anyone who regularly has a bet on sports in China will tell you, neither Vettel nor Leclerc actually have a personality. Indeed his rushing away in Bahrain pretty much put the old guard on notice and the 2019 Chinese GP odds on Charles Leclerc being so short might just cause some team bosses to pause and wonder how much faster they’d be going if they had a younger man in their cars too. Naturally in a sport where a second is an eon the 2019 Chinese GP odds on Charles Leclerc might be ahead of Vettels, but it’s not by much. Seb gets 7/4 with Hamilton at 11/4 and Bottas only just off at 15/2 (despite team orders ensuring he’s as much chance of winning in China as I do becoming the king of it). This leaves Max Verstappen at Red Bull out of luck at 12/1 and teammate Pierre Gasly looking wholly out of his depth at 70/1 to come home in China first. This being F1 no one else on the grid stands a hope in hell. Kimi Raikkonen gets 750/1 to somehow grab a win but won’t, and the rest languish below the 1000/1 mark. 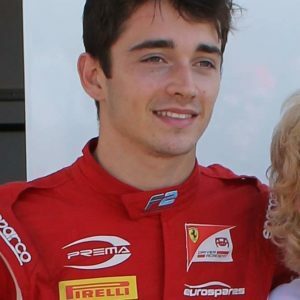 Thus if you’re going to take advantage of Chinese gambling laws to bet on the race you really might want to pick up those 2019 Chinese GP odds on Charles Leclerc because the way things are going he’s the future of motorsport and about to teach those of the old school a few lessons in humility. Do The Chinese Grand Prix Odds Signpost A Mercedes Win?